Ah, that new book smell. As I was opening boxes a few months ago, I breathed it in and smiled. When I was a child, I loved September. I loved it because September meant new textbooks, new readers and new notebooks—September was full of new book smell. As a home educator, I get to experience that new book smell every time I open a box of curriculum. It’s one of the many things I love about teaching my children at home. One of the more difficult things, however, is choosing which curriculum to order in the first place. We’ve tried things and rejected them, and then tried different things and rejected those things too. Some programs just don’t work for my children. Some programs work incredibly well for one of my children but not for the other. And then there are some programs that we just all around love. Today, I’m sharing some of the things we’ve chosen for next year. I have not included our top literature picks, which basically make up the bulk of some of our subjects. History, geography and language arts, for example, are supplemented with rich, living literature. We use supplemental books for science as well. Those will be coming in a separate post. Someday. I have also omitted our morning time books—devotions, prayer, missionary stories, poetry, picture and chapter books—all the beauty and goodness that starts our day. You can read all about that here. So what am I sharing today? Basically, the bare bones workbooks for Grade 3. I’ve divided them by subject and, where applicable, linked my sources. We’ve tried a few different things in this subject area over the past few years. We tried First Language Lessons for the Well-Trained Mind and, although it was wonderful, I needed something less teacher-intensive. We tried Language Smarts C and Daily 6-Trait Writing, Grade 3 and enjoyed them, but I needed something more comprehensive. This past year, we discovered BJU’s Writing and Grammar Program. It was absolutely perfect! As you can probably guess from the title, it teaches both grammar and writing—but in an extremely thorough and comprehensive way. The former editor part of me is thrilled. Lessons alternate between grammatical skills (spelling, punctuation, sentence structure, etc.) and different forms of writing (paragraphs, poetry, stories, etc.). My daughter is currently working on Level 2, but we’ve already purchased Level 3 for next year. We’re also planning to continue with Building Spelling Skills, because it’s a fairly basic, straight-forward program that can also be done independently (other than the tests, of course). In the photo, you’ll notice two audiobooks that we’ve chosen for next year. They are Tales of Beatrix Potter and The Secret Garden. As I mentioned previously, I will be doing a separate post on our literature choices, but I wanted to include our audiobooks here because audiobooks are a fairly new thing for us and quite exciting. My daughter finished her Grade 2 math program early, so we’ve already started our Grade 3 Teaching Textbooks digital subscription service. I am so excited! She can’t WAIT to do math each day! We love this program so far. We also supplement with Life of Fred. My daughter used to be extremely reluctant when it came to mathematics. One night, I went into her room after she was asleep to put something away—and found her hiding under her covers with a flashlight and a Life of Fred book from the shelf downstairs! This series is what changed her from a math-hater to a math-lover. Or at the very least, a math-tolerator. Outdoor Math is another supplemental book. I picked it up while visiting the bookstore at a provincial park. It contains wonderful ways to combine nature and math. A while back, I posted about how we’re mostly quitting science class. We’ve been slowly picking our way through Apologia’s Flying Creatures of the Fifth Day and Junior Notebooking Journals over the past year and a half, pausing often to focus on nature study and interest-led unit studies. Although Apologia is wonderful curriculum, I really love the delight-directed approach for science. Now that summer is here, I’ve decided that we are going to continue with what we’re doing—delight-directed nature study with Apologia as a reference where there is an overlap in topics. Some of the other books pictured were mentioned in a previous blog post on Nature Study Resources. Also pictured are resin-encased insects, Safari Toobs, and plastic life cycle figures. Next year, we plan to use The Story of the World, Volume 4 to supplement a big long living book list. (That post is scheduled for next week so stay tuned!) My daughter reads at quite an advanced level, so I’ll be assigning her most of the books for independent reading. We also use the History Through the Ages timeline book and figures. We’ve really enjoyed Evan-Moor’s Daily Geography Practice this past year. The girls have learned so many essential mapping skills. However, it’s U.S.-based and we need to work on Canadian Geography. I’ve decided to take a break from Daily Geography so that we can go through Donna Ward’s Canada: My Country curriculum next year. I’ve heard great things about it, and we’re looking forward to trying it out. Last, but not least, I always purchase at least one new STEM kit for the year. We’ve amassed various games, building sets and basic computer coding sets. This year, based on one of the Timberdoodle curriculum kits (which I often use for inspiration), I decided to purchase the Bloco Birds of Prey kit. This kit will fit in nicely with our science studies. I think that’s it! This is the bare bones of Grade 3 (the sort-of-boring part). I’m working on a separate post about all of the rich, beautiful things that make out homeschool days lovely, so be sure to subscribe so you don’t miss a thing! 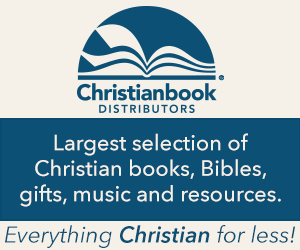 Please note that, as an affiliate of The Christianbook Group, some of the links above are affiliate links. This means that, should you click on these links and purchase products, I will earn a small commission at absolutely no cost to you. Thank you for the look into your school year choices. I have a daughter who is really in the middle of her 3rd grade year, and I am making some changes for her as well. Sometimes, I get stuck in a rut and it is nice to see things from other homeschool mamas’ points of view.